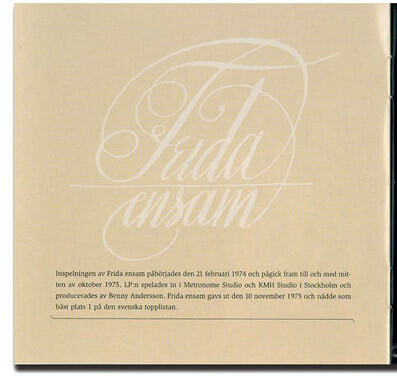 "Länge, länge leve kärleken vår bästa vän, Fernando"
but Benny produced, Björn,Benny,and the ABBA band play on this album. The arrangements of the songs are as well thought out as the ABBA records of the period,. The choice of material is quite varied. Most of the songs seem to be covers of previously released songs with the exception, of course, of the original Swedish version of "Fernando" which made it's debut here. 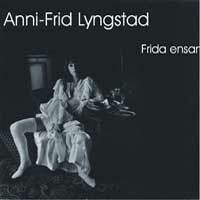 (Frida's version was released slightly ahead of the English language ABBA version). "Fernando" is the only B&B song on the album. 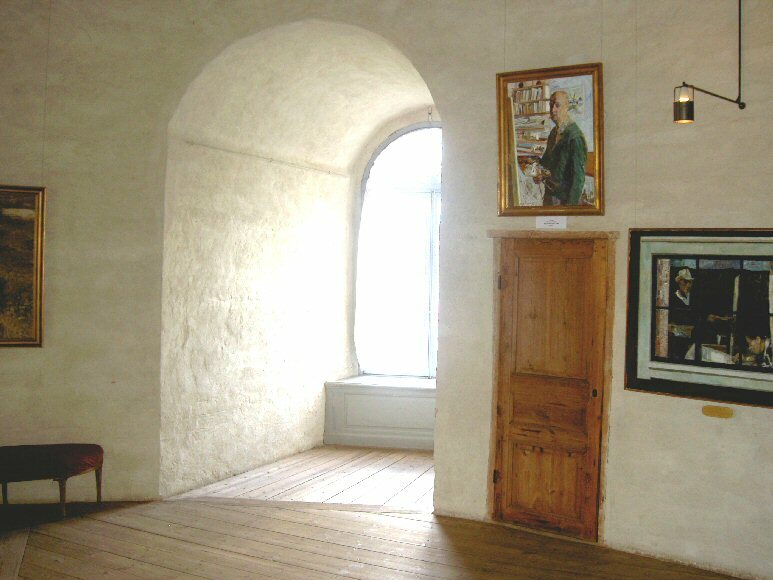 The Swedish lyrics (actually written by Stig) reflect the theme the song had in its earliest versions-it was more of a love song, less of a freedom song. That perhaps, explains why the "linga lange"( Swedish) chorus actually seems different than the "If I had to do the same again I would my friend" chorus in the English version, even if you dont understand Swedish. 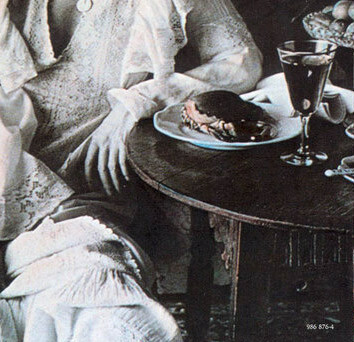 Two of the song choices were certainly not the light jazz of Frida;s early career-"Liv Pa Mars'" ( a spectacular version of David Bowie's "Life On Mars") and "Wall Street Shuffle"(a 10CC song)." Life on Mars" was drawn from Bowie's HUNKY DORY album. Some of the other songs were more akin to her pre-ABBA song selection but are given a much more effective presentation by the increasingly tight ABBA band. The album is uniformly excellent but some of the highlights include the ethereal "Hey Hey..' chorus in "Aldrij Mej" , the emotional end of "Ett Live I solen" and Frida's high singing on Var Är Min Clown ("Send In the Clowns) '. The low point is probably a Swedish version of "The Most Beautiful Girl In the World". This is one of the most sucessful Swedish markert albums by a ABBA solo artist. It went to #1 in Sweden and sold over 100,000 copies. This album is a must have for Frida fans. It was first reissued on CD in 1991 and again with bonus tracks in 2005. * Engineered by Lennart Karlsmyr & Michael Tretow. Japanese version of the cover!